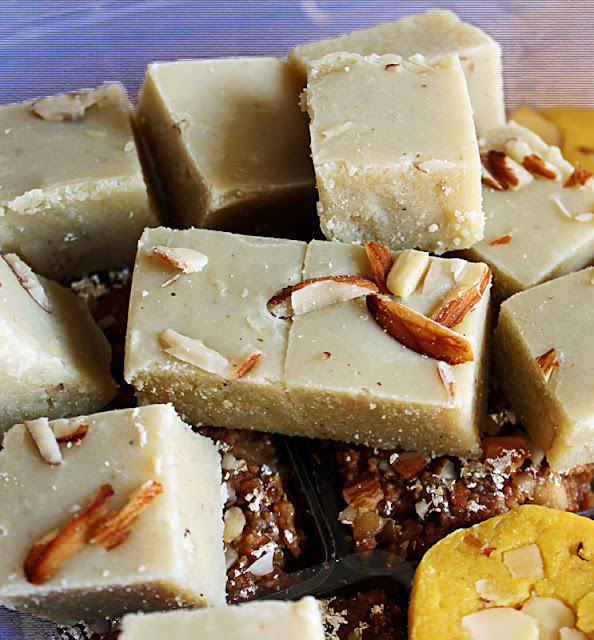 These are pictures of Indian sweets. A close up of the milk based sweets garnished with silver foil and nuts. 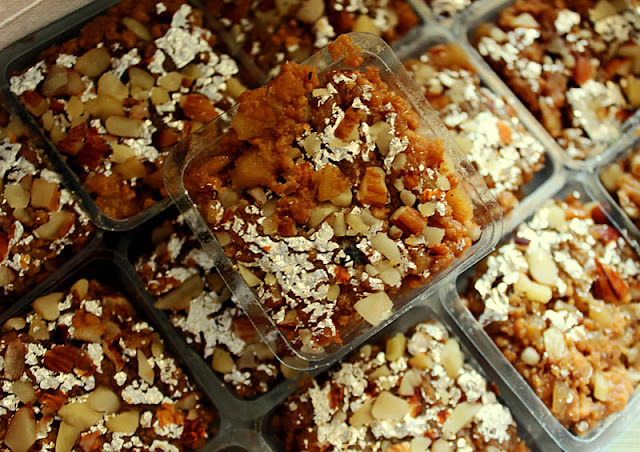 These are also typical Indian sweets or barfi or mithai, made with milk and garnished with nuts like almonds. 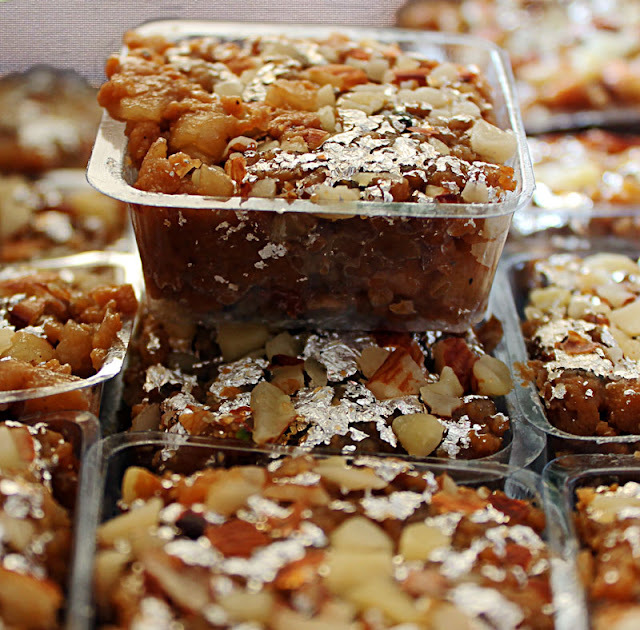 A close up of the milk based mithai with silver foil which is often used as decoration. Nuts are also used.